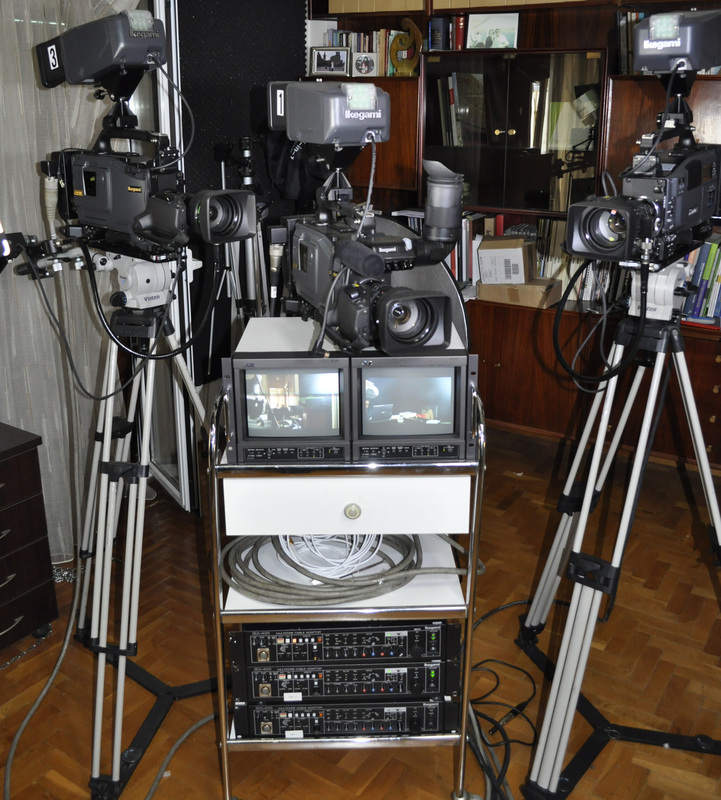 …and the only VINTAGE tv studio in EU with 5 videocameras from ’80s. 1a. Filming Solution one just for 90 euros! 1b. Filming Solution two just for 140 euros! 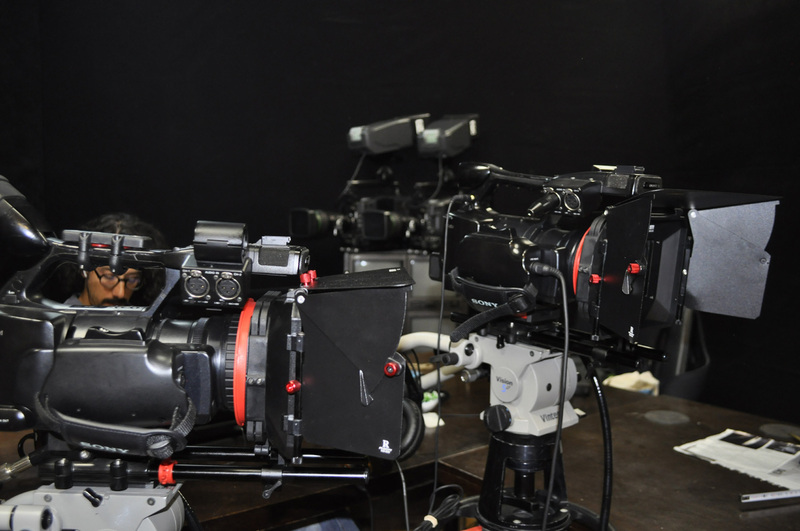 Rent Plus: (call us 48 hours early) Extra Equipment for rent and facilities like Up Link, other professional videocameras and equipment, Conference hall, etc. 2a. Live Solution one just for 250 euros! Includes: – Free Network with unlimited viewers – One camcorder SONY or JVC – Audio Technica ATW 1800 wireless Mics – lights – Titles – DVD with final live resolt. For extra editing (of the starting material) extra cost 90 euros. 2b. Live Solution two just for 350 euros! Includes: – Free Network with unlimited viewers – Two camcorder SONY or JVC- Audio Technica ATW 1800 wireless Mics – lights – Titles – DVD with final live resolt. For extra editing (of the starting material) extra cost 180 euros. 4. 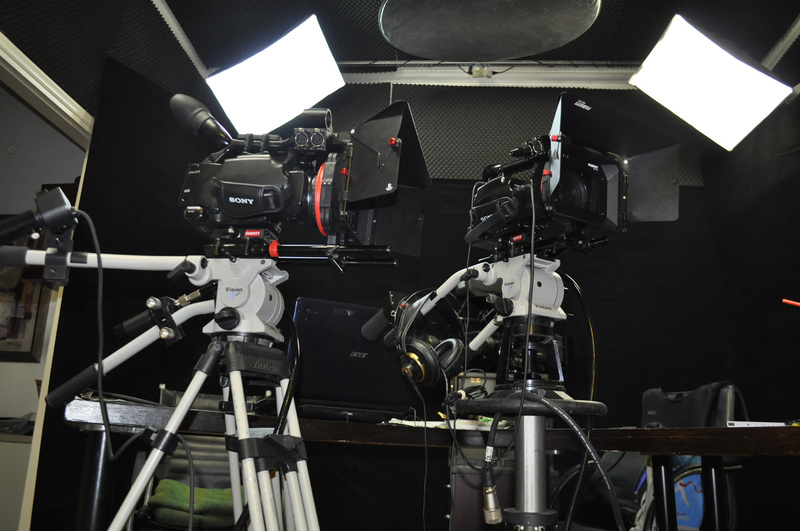 Rent low cost tv studio in Athens Greece only for 90 to 140 euros! – Call us 48 hours early for extra Equipment and facilities like Up Link, other professional videocameras and equipment, Conference hall, etc.